Cheap Sports Pouch Keychains - 12 Ct.
Sports Pouch Keychains - 12 Ct. 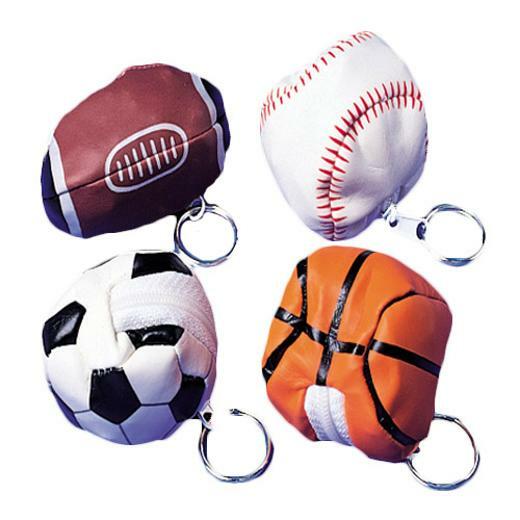 This fun key chain contains a zippered pouch to hold small belongings. Fun party favors or giveaways. Assorted styles. Size 2" W. Stock up on all the sports themed items you need for parties, sporting events, clubs and more. We have a wide selection of sports themed favors and costume accessories. Find everything you need to make your Sports party a success. L: 6.65 in. W: 9.85 in. H: 1.9 in.